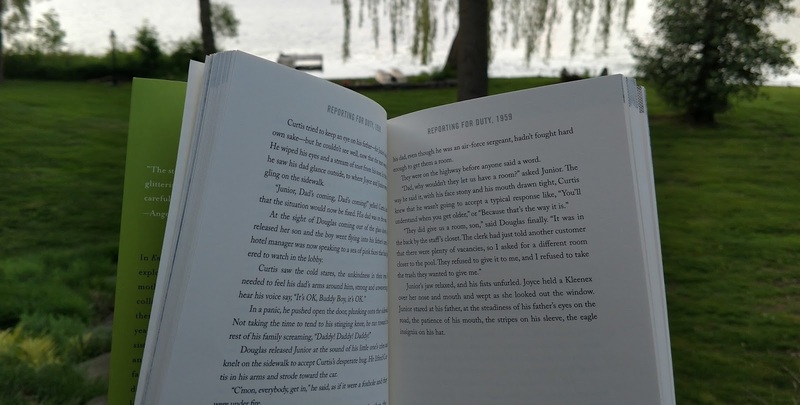 Summertime in Michigan should include relaxing with a good book on the beach, in the backyard hammock, or in the park. Last year, I shared a list of Five Michigan Books for Summer. This year, the list is longer, with a more diverse group of writers, genres, and forms of literature. Each work has a relationship with Michigan: Either the writer is a Michigander or the work is set in Michigan. It was a pleasure to read each of these works, and I hope others find something valuable through reading them. Former Detroit Free Press writer Desiree Cooper’s Know the Mother is a powerful collection of 31 very short stories (most are 750 words or less). The stories examine themes of womanhood, motherhood, and race. I cannot name a favorite story because each one emits emotions that put me squarely into the main characters' shoes. Know the Mother’s stories embody loneliness, fear, hope, love, shame, and sorrow. Cooper creates complex and real characters with few words because her writing is splendid, moving, and true. In Detroit author Jack Cheng’s novel See in You in the Cosmos, Alex Petroski is an eleven-year-old boy infatuated with space exploration. The story is told through Alex’s recordings on his golden iPod, which he dreams of launching into space for intelligent alien life to discover. Alex leaves his troubled mom at home to attend a rocket-launching festival in New Mexico. Along the way, he discovers a complicated, but beautiful, new universe right here on earth. I have been trying to read more poetry lately, and I’ve discovered that Michigan has produced many fantastic poets. Earlier this year, I attended a poetry reading featuring the works of three new poetry books published by Wayne State University Press's Made in Michigan Writers Series: Harborless, The Bird-while, and Rowing Inland. Each collection features poetry with Michigan themes. Cindy Hunter Morgan's poems in Harborless examine Great Lakes shipwrecks and uncover the powerlessness of humanity when facing the wrath of nature. Many of the poems in Keith Taylor's The Bird-while are set in Michigan and give an intimate view of nature and our relationship to it. Rowing Inland by Jim Daniels is a personal collection of poetry about family and growing up in Metro Detroit. In Search of Small Gods, a poetry collection by Jim Harrison, highlights the American West of Harrison's later years more than his native Michigan, but he does explore the Michigan of his childhood in a few poems, like The Quarter. Harrison’s words choreograph dances between humanity and nature, with each step taking readers closer to the divine. Crime novels do not usually interest me, but I decided to read August Snow, a Detroit-based novel by local writer Stephen Mack Jones, after reading several good reviews. August Snow is a former Detroit cop who is now wealthy with the money damages he received in a lawsuit against the city. He moves into his childhood home in Mexicantown and soon finds himself investigating the murder of a Grosse Pointe socialite. Snow becomes entangled with hitmen, the FBI, and the Detroit Police Department and can rely only on a few trusted friends to find the truth. The novel is set primarily in Detroit, but one of the most gripping events occurs in Traverse City. Once I started reading, I was engrossed by the story and had a hard time putting the book down. Sports fans believe that Ty Cobb was a racist, cruel, and possibly murderous man that nobody liked. The Detroit Tigers legend is arguably the best baseball player of all time, but he is not beloved like Babe Ruth, Jackie Robinson, Lou Gehrig, or Willie Mays. Ty Cobb: A Terrible Beauty, Charles Leerhsen’s biography of Cobb, turns this narrative upside down. Leerhsen exposes much of Cobb’s legend as questionable or outright lies fabricated after his death by biographer Al Stump. Leerhsen picks apart Stump’s biography of Cobb, as well as other dubious accounts of Cobb’s evil deeds. He ultimately shows that Cobb was a complicated character who was not perfect but who also does not deserve the spurious posthumous attacks on his character. A Detroit Anthology paints a portrait of the city that is full of vibrant color, sharp angles, and unexpected curves. The anthology makes it clear that the portrait can never be finished because Detroit is, and always has been, a work in progress, changing with every new voice echoing through the city and every old voice’s response. The cover of Aaron Foley’s How to Live in Detroit Without Being a Jackass, with its Vernor’s theme and “It’s not the new Brooklyn!” proclamation, proves that sometimes you can judge a book by its cover. This irreverent portrayal of life in Detroit does not seek to encapsulate everything about the Detroit experience. Instead, Foley tries to explain how newcomers can move into the city without alienating, ignoring, and offending the Detroiters who have been living in the city for decades. Foley also gives humorous advice about how to talk about Detroit, how to buy and rehab house, how to deal with the suburbs, and how to drive in the city. This is a worthy read for anyone who lives in or is contemplating moving to Detroit or the metro area.